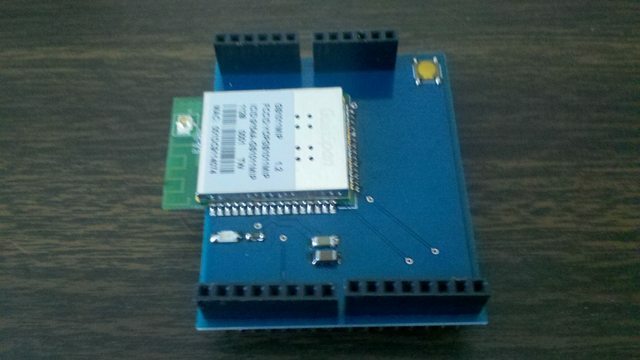 We wanted to share this with everyone: we are announcing a new WIFI shield for the Arduino. 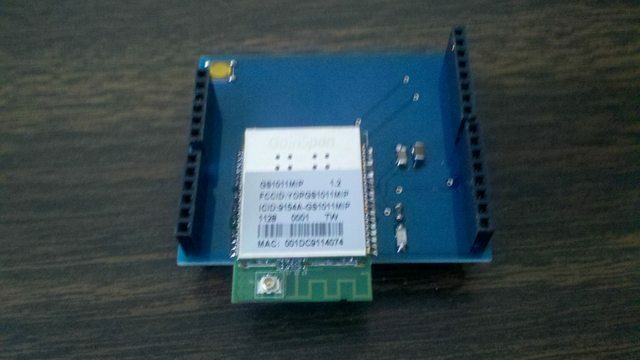 The shield is based on the Gainspan GS1011 module. The shield is fully assembled and comes with pins 10-13 jumpered, but if those conflict with something else on your project, you can re-jumper the communications pins to 4-7. We worked out an extensive library with a bunch of examples to make getting started easy, with twitter, webserver and client, and TCP/IP, WEP, WPA2 examples already worked out as well as a library to use some of the more common functions. The much lower price than the "official" wifi shield (and actually being in stock) makes it attractive, but honestly, I'll probably never buy one because of its lack of top headers. Using that shield means you can't use any other shield, which is a deal breaker for a lot of projects. That's a good point. We'll try to update that. The pictures above are of an older version of this hardware. Our most recent version, the only version we currently sell, now features headers.